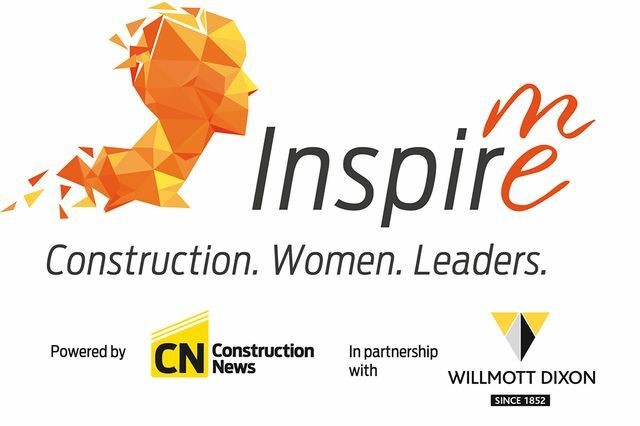 Construction News’ Inspire Me campaign aims to promote the role of women as leaders in the construction industry, inspire future leaders and promote the industry as being gender neutral and welcoming of women in all roles. This was certainly communicated at Thursday’s workshop, which was attended by more than 110 senior professionals from across the Midlands. Tom Fitzpatrick – editor of Construction News – came across incredibly well, discussing the importance of diversity and how the shortage of women in construction is not just a female issue; it’s an industry issue. It was clear that everyone at the event was keen to do something about the lack of female representation in the industry, so the next step is getting this proactive enthusiasm out of the room and into the UK’s construction firms. Companies are proud to say that they have equality, diversity and inclusion (EDI) policies but what they don’t say is that they have to have them; firms are audited on their EDI policy and it is taken into account when bidding for frameworks. It’s now time for construction industry leaders to put their money where their mouth is and start making proactive changes and thinking creatively in terms of how to inspire more female leaders and encourage more women to consider construction as a career path. At Pick Everard, we have produced podcasts and hosted roundtables on the subject of female representation. I know that our partners in the industry are keen to also get on board and we’re keen to work together to address this issue and make a real difference. The leaders’ panel – which featured CFOs, business owners, HR directors and site managers – focussed on the idea of not just attracting women but also retaining them. Recruitment is expensive, so it’s really in the financial interest of companies to make their workplace an attractive one for women too. We have flexible working hours in place at Pick Everard, as well as dependence leave and a return to work maternity bonus, which have both been cited as incredibly important for our female staff members who come back to work after having children. Having someone to look up to - someone who relates to you and looks like you - is an incredibly powerful tool in encouraging women to take up, and stay in, a role. An example of this is the ‘CSI effect’ – referenced by Nishma Robb, head of marketing at Google – which claims that, after introducing more leading, powerful, female characters in TV crime dramas, the number of female undergraduates studying forensic science more than doubled, bringing the average up to 78%. It’s up to us – women who have the experience and understanding of the construction industry – to help inspire the next generation and I’m incredibly proud to be doing this at Pick Everard. There were also a lot of positive remarks made about the training of more line managers and I know that, at Pick Everard, female line managers and mentors have had an incredibly positive impact on our staff. Lack of female representation isn’t just an issue in the construction industry, it’s being experienced across the board. But we’re also suffering from a skills crisis, so if we’re not promoting to everyone we’re losing out on a pool of potential talent. We’ve only seen a 2% increase of women in the industry in the last 10 years. But initiatives, like the Inspire Me campaign, are a very positive step towards addressing this. These workshops have provided a space to discuss ideas, debate how we can promote construction as a career path for women and consider how we can continue to improve the industry, not just for women – but for everyone.